Levenes personal injury solicitors won compensation for a mother and her autistic son who were both injured in a road traffic accident. 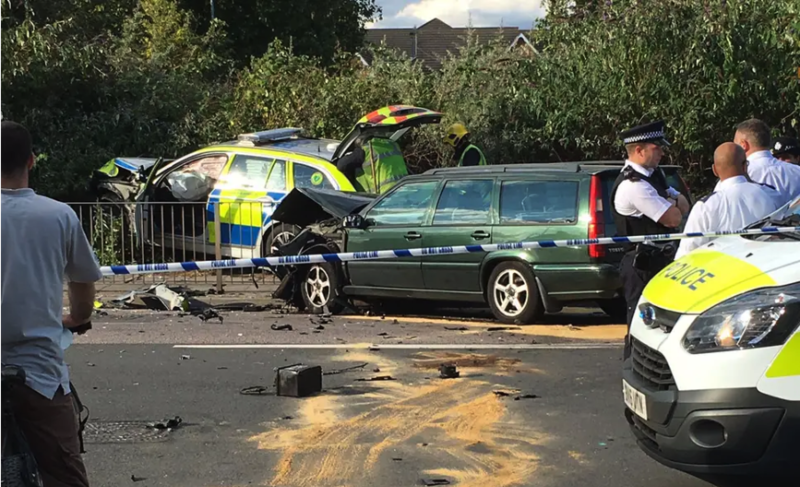 The son was a front seat passenger when the mother carefully emerged from a side road in Enfield. The Police car was going very fast on the main road with sirens sounding and lights flashing when it overtook a stationary bus, leaving no time for the mother to react. The Police car hit the mother’s estate car with such force that caused it to spin and end up almost facing in the opposite direction. Both, the mother and son, suffered injuries as a result. Levenes Solicitors took the claims and secured compensation totalling £13,300 for the injuries sustained in both claims. If you have suffered injury as a result of a road traffic accident, accident at work or medical negligence please contact us or for more information about the areas of law we specialise in please visit our website.